The Shiloh Trilogy by Phyllis Reynolds Naylor launched by the Newbery Award–winning novel Shiloh, takes readers straight into the heart and soul of an eleven-year-old West Virginia boy named Marty Preston. His family of five has barely enough food and room for themselves, never mind a pet. But when Marty finds an abused beagle out in the woods, he’s willing to go to almost any length to hold on to him. The story of how Marty keeps Shiloh and at the same time tries to balance his responsibilities to his family, to the dog’s troubled original owner, and, perhaps trickiest of all, to himself, unfolds in an unforgettable trilogy. Each book is richly rewarding on its own. Together they form one of the most deeply felt sagas in modern children’s literature. 1. Marty loves animals. What details does the author provide, right from the opening paragraphs of Shiloh, that make this clear to readers? 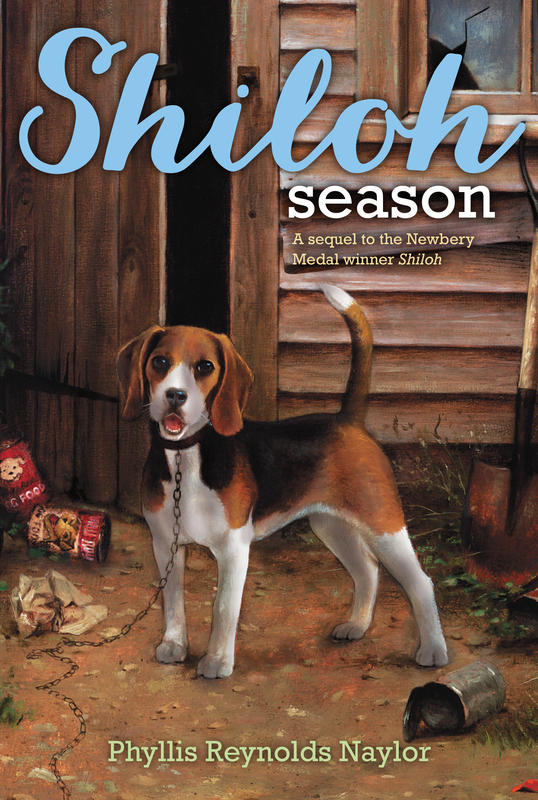 What does Marty teach Judd about loving animals in Shiloh Season and Saving Shiloh? 2. “A lie don’t seem a lie anymore when it’s meant to save a dog,” Marty says in Shiloh, ”and right and wrong’s all mixed up in my head.” Discuss how Marty continues to wrestle with right and wrong in Shiloh Season and Saving Shiloh. 3. Marty feels that his choices, in Shiloh, come down to either hiding the dog and keeping it secret, or giving it back to Judd. Debate whether there are other possibilities that Marty hasn’t considered. 4. Explain Marty’s comment in Saving Shiloh, “Trying to be polite and honest at the same time is hard work.” Rate Marty on his ability to be both polite and honest. 5. Marty’s dream of becoming a vet “sort of leaks out like water in a paper bag” when his father, early in Shiloh, tells him how expensive veterinary training is. How does Marty restore his dream as the trilogy progresses? Discuss the possibilities of Marty achieving his goal. 6. “Thought once if I could just get Shiloh for my own, it would be the finest day of my life,” Marty says, after he and Shiloh’s original owner, Judd Travers, reach their agreement in Shiloh. “In a way it is, in a way it isn’t.” Why is Marty so torn? 7. The second book in the trilogy is called Shiloh Season. What does Marty mean by “Shiloh season”? How are Marty’s fears justified? 8. Marty and David Howard are allowed to roam the countryside near Marty’s house, but in Saving Shiloh, Marty’s mother won’t let Marty and his sisters go trick-or-treating. She says, “Houses too far apart for you kids to be walk- ing out on the road.” Explain her fears. Why are her fears more justified in Saving Shiloh? 9. In Shiloh Season, Marty realizes that “when you love, you got to take chances.” What are some of the chances he takes for Shiloh? Judd takes a chance for Shiloh in Saving Shiloh. What does Judd’s gesture indicate to Marty and the surrounding community? 10. Over the three novels, the author reveals more and more details about Judd Travers’s childhood. How do Marty’s feelings about Judd change as he learns more about Judd’s early years? Discuss whether your feelings toward Judd change. 11. In Saving Shiloh, Ed Sholt says, “We ought to keep Judd on the hot seat, let him know his kind wasn’t wanted around here, and maybe he’d move some- where else.” How does Judd become a hero in his neck of the woods by the end of the novel? 12. “There’s food for the body and food for the spirit,” Marty’s father says. “And Shiloh sure feeds our spirit.” Explain how Shiloh continues to feed the spirit of the Preston family in Shiloh Season and Saving Shiloh. What is the food that eventually feeds Judd’s spirit in Saving Shiloh? 13. Discuss Marty’s relationship with Dara Lynn and Becky. What is the first evidence in Saving Shiloh that Marty and Dara Lynn’s relationship is improving? How does the “near disaster” at the creek in Saving Shiloh change Marty, David, Judd, and the entire Preston family? 14. Marty’s best friend is David Howard, the only child of two professional parents. Compare and contrast David’s home with Marty’s. What are some of the material advantages that the Howards enjoy? How comfortable is David at Marty’s home? What draws the boys to each other? 16. Why is Judd suspicious of Marty when Marty tries to help him? 17. Cite evidence from the Shiloh novels that religion is important to the Preston family. How does Marty call upon his religious training when he is sorting out the lies that he tells? 18. What does Mr. Preston teach his children about giving someone a second chance? Discuss how many chances the Preston family gives Judd in the Shiloh trilogy. What is the Preston family’s role in helping Judd on a journey of self-discovery? What does Judd learn about giving and receiving in the three Shiloh novels? 19. An epiphany is a term that refers to a point of awakening for one or more characters in a novel. What is Judd Travers’ epiphany in Saving Shiloh? How do Marty and David Howard realize that Judd has changed? 1. The Shiloh trilogy is set in and around real places in West Virginia. Find a map of Tyler County, West Virginia, on the Internet. Identify the towns mentioned in the novels. 2. In Appalachia where the Shiloh books are set, there is a relationship between the land and the people. Discuss how the land shapes the people. How do the people shape the land? Write a brochure for the Tyler County Welcome Center that explains this to outsiders who want to better understand the area and its people. Include a map of Tyler County on the brochure. 3. In Shiloh, Marty’s teacher, and David Howard’s mother, encourages Marty to work on his grammar. Select a paragraph from Shiloh and write it in Standard English. How does changing the language affect the tone of the novel, and the sense of place? 4. Judd Travers violates hunting laws. Why are his actions so dangerous to the community at large? Learn about the hunting laws in your area. Find out if there have been violations of or significant controversies about them. 5. “You’ve got to go by the law,” Marty’s father says. “You don’t agree by the law, then you work to change it.” Research the ways that citizens in your community have worked to change a law with which they disagreed. 6. Marty’s class is assigned to write about how they imagine their future. Prepare this assignment for Marty. How does he imagine his future? How much education will he need? Where will he live? 7. Invite a representative from your local SPCA to talk about animal abuse. What are the warning signs of abuse? How should you report it? 8. “Truth,” Marty decides in Shiloh Season, “is more important, but gossip is more interesting.” Discuss how David Howard’s case against Judd Travers in Saving Shiloh is based on gossip and a wild imagination. The community also suspects Judd of the murder. Write a letter to the editor of the newspaper accusing Judd of the crime. 9. In Saving Shiloh, the Prestons invite Judd Travers to Thanksgiving lunch. Role-play a family conversation that takes place at the end of the day. What, for example, would Marty, Dara Lynn, and Becky say to their parents about their guest? How might Mr. and Mrs. Preston respond to their children? 10. David Howard’s dad works for the Tyler Star-News. Find out the role of a good journalist. Then write the story about Judd saving Shiloh for Mr. Howard’s newspaper. Provide quotes from Judd, Marty, and David Howard. Give the article an appropriate title. 11. Marty’s father had faith in Judd Travers, even when other people didn’t. Write an essay about the changes that occur within Judd Travers from the beginning of Shiloh to the end of Saving Shiloh. 1. A book has been written; a movie has been made. The next step is for reviewers to make thoughtful comparisons of the movie to the book. Put yourself in the role of a reviewer. First read one of the Shiloh books, then watch the DVD, and finally, write a review. Carefully think through the challenges of putting a book on the screen, considering both the advantages and disadvantages of each medium. Remember that a review should include a concise summary, your opinion of the work, clear evidence to support your opinion, and a short conclusion. 2. Anytime a novel is made into a film, there is a question as to which is better. Why is it important to read a novel before seeing the film adaptation? Discuss the difference in a film narrative and a novel narrative. 3. Read Shiloh, Shiloh Season, and Saving Shiloh before you watch the films. How do you mentally picture the main characters? After watching the films, write a brief paper that compares your mental image of one of the main characters (e.g. Marty, David Howard, Judd Travers, etc.) to the way they are portrayed on the screen. 4. Consider the dialect that is indicative of the Appalachia people. The reader knows that Marty is working to improve his grammar. How are dialect and grammar different? Note any inconsistencies in language in the book and the movie. Who is the most authentic character in the movie? 5. Appalachia is a unique region of the United States. Write down what you learned about the geography and the culture of this region from Naylor’s Shiloh novels. While viewing the film, jot down the way this region is conveyed. Are the films true to the people and how they live? 6. Marty experiences various emotions throughout the Shiloh novels. For example, he feels anger, fear, happiness, and sadness. Find a scene in one or all of the novels where Marty shows these emotions. How does he display the same emotions in the film versions of the novels? Is it in dialogue? Body language? Try your hand at acting. Pick an emotional scene in one of the novels and prepare it as a monologue. 7. The films are largely faithful to the novels’ plots, but there were some changes made. What were some of the most significant ones? Why do you think the changes were made? If you could change one thing about the movie Saving Shiloh, what would it be? 8. Be a casting director. Choosing from children and adults in your school or neighborhood, who would you pick for the major roles in the films? How about the dog? What kind of training would the dog need to play the role? 9. Filmmakers use dialogue to tell a story, but they also have other tools at their disposal. Pay special attention to scenes that feature little or no dialogue. Discuss how the filmmakers use music or visual images to set a tone or mood, or to advance the plot. For example, the suspense of the scene where Marty and David are exploring the old farmhouse or the final scene when Judd jumps in the water to save Shiloh. 10. Typically, stunt men and women are used in film when a specific scene places the actor in a dangerous position. Make note of scenes where you think stunt artists were used. Explain your thoughts. 11. 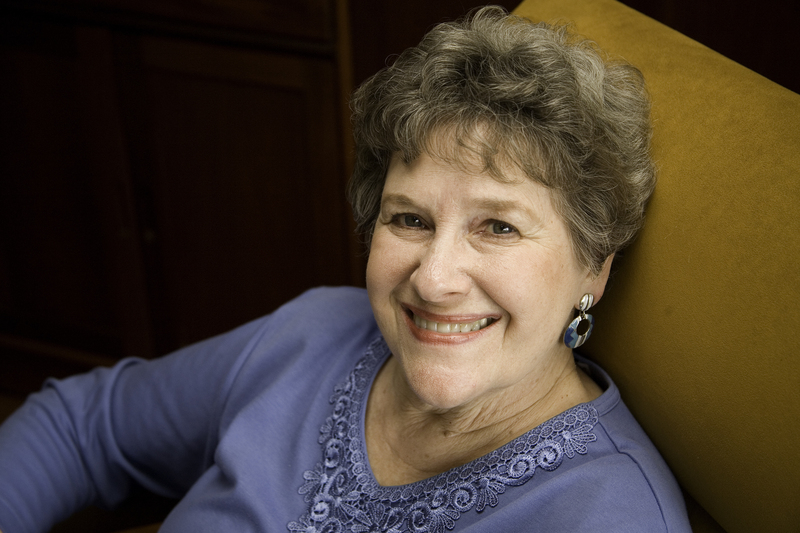 Phyllis Reynolds Naylor wrote the Shiloh trilogy alone, but each of the films credits a long list of people, in addition to the actors, who worked on the project. Find out more about these various behind-the-camera jobs. What, for example, are the responsibilities of a director, a producer, or a cinematographer? 12. Analysis, opinion, and evaluation are three common types of nonfiction writing. Brainstorm the differences in these types of writing. After viewing one of the Shiloh films, write an analysis, opinion, or evaluation of the film.